Summer break is only weeks away and I’m already getting hot flashes and cold sweats. I love the thought of not having to jump out of bed in a fluster every morning. I love the thought of not packing lunches, doing homework, and of being free to hit the pool or park as we please. However, I am not looking forward to getting out my cattle prod and pushing and poking everyone until every last chore is done. I don’t like being that mom; I’d rather be Fun Mom. That’s why I need a little creative inspiration on getting my kids to want to do their chores. If you could use a little inspiration too, here are 4 clever ways to get kids to do chores over the summer that does not involve a cattle prod! Some of you flower children may recognize this snazzy chore chart from the 70s. This spinning wheel of fortune is especially good for multiple kids, and it removes mom and dad from being the bad guys! Parents don’t divvy out the chores, the spinning wheel does. This makes it seem more like a game of chance, and what kid doesn’t like to press their luck? How it works: Cut out four circles and divide them into the same number of sections as kids in your household. Write names on the inner-most circle and then fill in the rest of the slots with common household chores. Secure a pronged fastener in the middle and let your kids spin the wheel or simply rotate it weekly. It’s also a good idea to assign a sheriff who inspects the other jobs and makes sure they were done up to snuff. My sister-in-law clued me into this genius idea. Print out some fake dollars (these are via ChartJungle.com) or make your own fake money. 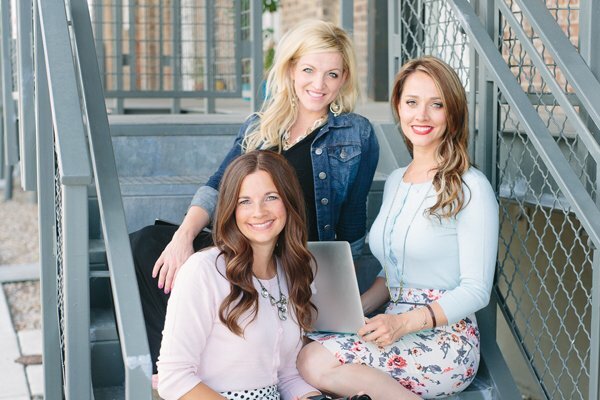 Determine which chores get to earn chore bucks and how much money each chore is worth. Mom and dad put together a family chore store (call it whatever you want: the mommy store, Chore-Mart, etc.) and let your kids save up their fake dollars for items in your chore store. How it works: Mom and dad buy some items to go in the chore store box or bucket (dollar store items are perfect!). Print out or make fake money. 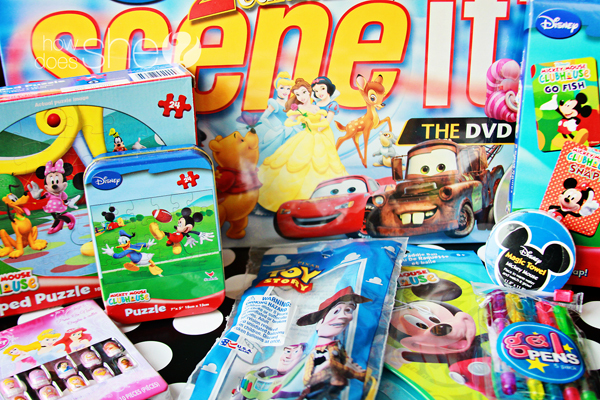 Kids earn chore bucks when they complete chores and can spend their money in the family chore store! It’s crazy how efficiently kids will work for a punch card. Heck, I’ll buy 8 ice creams just so I can have that 9th one for free! Same principle applies here. How it works: Print out some chore punch cards or make your own. Determine the prize at the end and get punching! How ironic that screen time, the very thing that keeps kids from being productive, can actually help them do their chores! Websites out there like Handipoints and Chore Wars are actually online games that motivate kids to do their chores. Kids can chart their progress and earn points toward prizes. Do you have any other clever ideas to help kids do chores over the summer? Please share them below! By the way, I don’t really use a cattle prod. A squirt bottle works just fine. 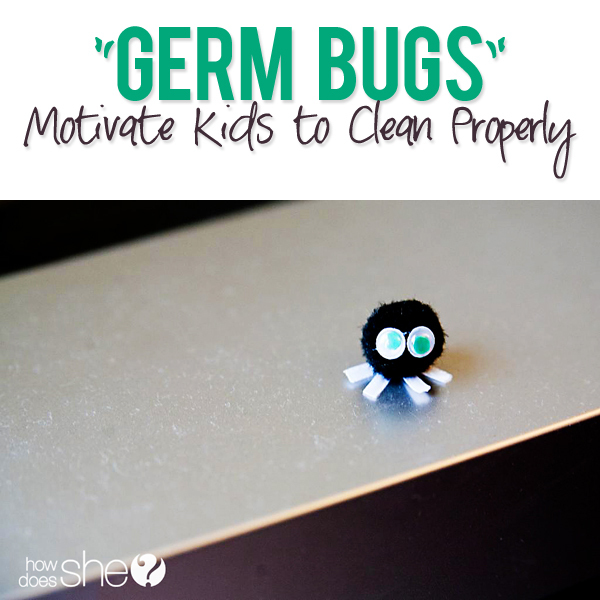 Germ Bugs Motivate Kids to Clean Properly! This looks like it works great for 4 kids, but what happens when you have less? I have tried a couple different fun ideas for getting kids to do chores. The problem I have is getting them to continue after a couple weeks! I have had a rotating chart, which included mom and dad, that gave everyone a different responsibility each day. Then I created a dice game, where the kids would roll two dice, and the number they rolled corresponded with a chore. When they completed that chore, they rolled the dice again,and the number they rolled that time corresponded with a reward. This worked the longest! Right now, I am doing something like a star chart, but mostly for behavior and attitude. When they fill up their chart with stars, they earn a prize!